Last week we published the first part of a series of four articles dedicated to the Kinneret colony, which was established exactly 100 years ago. The Zionist-settlement enterprise was launched near the place where the Jordan River leaves the Sea of Galilee (Lake Kinneret). At the beginning of the 20th century, agronomist Haim Margaliot Kalvarisky, who was in charge of founding the Galilee colonies on behalf of the Jewish Colonization Association (JCA), purchased lands in the Yavne'el Valley, where the colony of Yavne'el was later founded. In 1904, Kalvarisky encountered an opportunity to purchase the lands of Delaika (where the Kinneret Farm was later built). He put a down payment for more than 12,000 dunam (2,965 acres) in the area, and when he asked the JCA to accept the land, its members refused, claiming that he did not consult them before striking the deal. Kalvarisky then turned to Arthur Ruppin, who headed the Palestine Bureau (also known as "Eretz Yisrael Office") of the World Zionist Organization, and Ruppin recruited Zionist men of means to help buy the land. 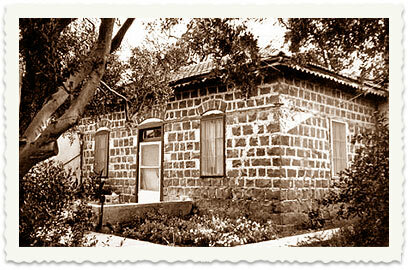 In 1908, following a recommendation by agronomist Berman, the Kinneret Farm was built in the area. The Israel Land Development Co. (ILDC) and its emissary Arthur Ruppin planned to have this facility train the pioneers arriving in Israel to establish farms. 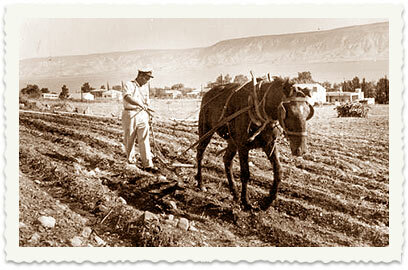 North of the Kinneret Farm, the JCA purchased a strip of land for the establishment of the Kinneret colony, which would include eight peasant courts. This series of four articles features the story of the first families who settled in the area and live there to this day. The photos are documented in the houses of the pioneers and in the colony's museum. We would like to thank Mulik (Shmuel) Yizraeli, whose family was one of the founders and who treasures the days of the colony in his memories. The neighbors of the Halevy family from last week's article were the family of Yitzhak and Leah Cohen. The couple was married in 1913. Yitzhak Cohen was born in Irkutsk in 1891. 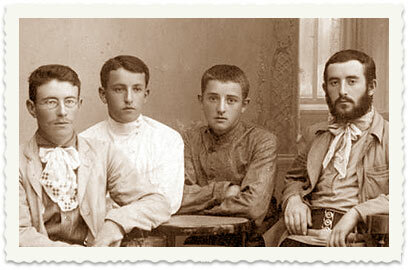 His father had a mill and his brother Zvi worked in the gold mines of the Novomesky family (Moshe Novomesky later founded the potash factories around the Dead Sea). 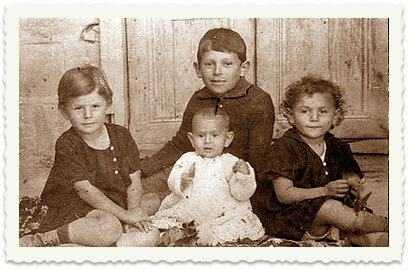 In 1909, Yitzhak immigrated to Israel on a boat from Odessa, accompanied by a number of friends. 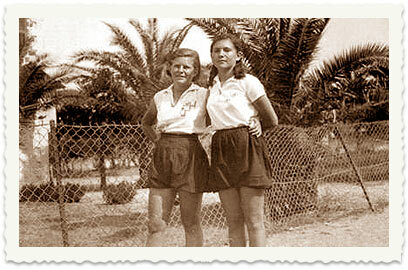 At first they worked in different places in Israel, until in 1913 Cohen received the Kinneret farm of Eliyahu Mizrahi (Ephraim Krause's brother-in-law) from the JCA. Yitzhak met Hannah Maizel, who managed the Alamot Farm in Kinneret, and asked her to find a girl who would help him with his housework. The girl was Leah, the daughter of Moshe and Maria Lifshitz from Yavne'el. They were married shortly afterwards. 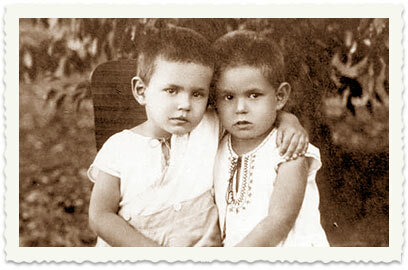 In 1925, Yitzhak's father Israel and brother Zvi immigrated to Israel. 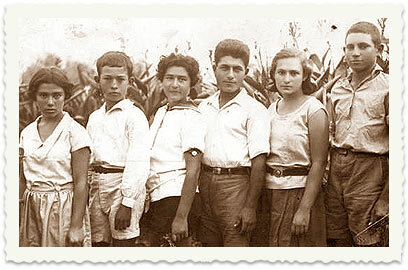 Zvi and his partners from Tiberias built a flour mill in Tzemach, which was torched by Arab rioters during the 1936 events. 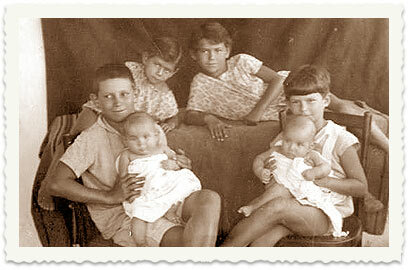 Yitzhak and Leah Cohen had six children: Moshe, Shulamit, Hannah, Lina and twins Uri and Aryeh. 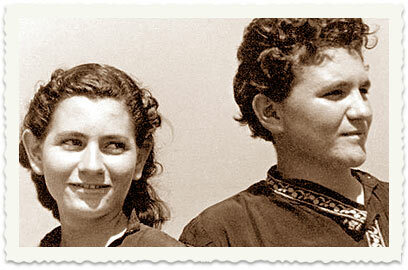 Yitzhak was killed in a road accident in 1973, and Leah passed away a year later. 5. 1919, outside the Kinnert colony school: Kindergarten teacher Ahuva Brenner (the sister of author Yosef Haim Brenner), Moshe Cohen (second from the right), Drora Levy (fourth from the right), Yemina Yizraeli (seventh from the right). 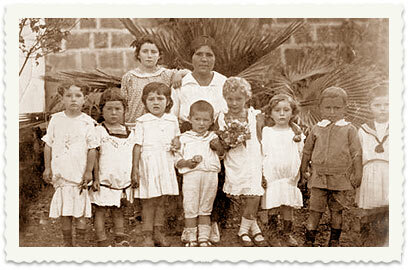 The rest of the children in the picture are either Kinneret residents or refugees from Tel Aviv-Jaffa. 7. 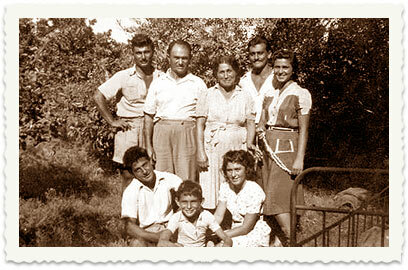 Moshe Cohen, the colony's eldest child, in a photo from 1934, with his wife Hinda from the Betelem Nahal group (Ein Gev) and sons Amnon and Giora. 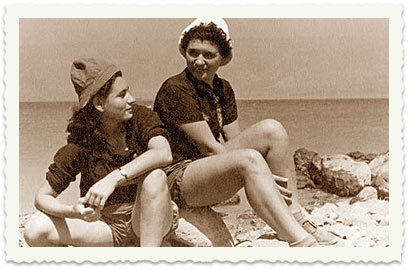 Cohen joined the Haganah and Palmach, and was known to be very courageous as a commander. During the battle for the illegal immigration, he took part in bringing the immigrants to the Land of Israel. When the Syrians invaded the Jordan Valley on April 18, 1948, he and his department fought as part of the Tzemach police. After the police were overthrown, he fought in Kibbutz Degania Bet, where he was killed on April 20, 1948. 13. Near the Cohen family home is the house of Yosef and Rachel Avramson. 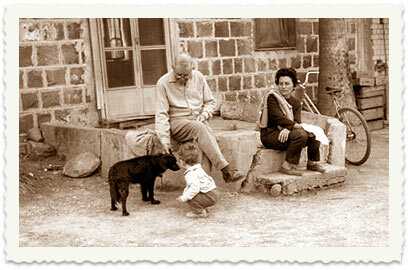 Azaria Shaulov, a Circassian, lived in the house at first but left after the construction of Kinneret's houses were completed, and his farm was turned over to Yosef Avramson. 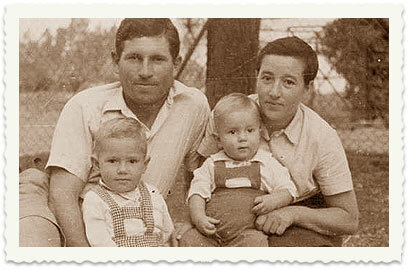 The couple's children were: Mina, Metania, Ginosara, Dudu and Amnon. 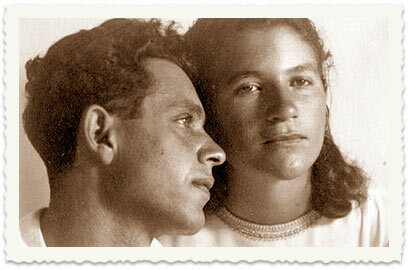 Yosef died in 1969, and Rachel in 1972. The family members appearing in these articles and their friends are invited to add information through the talkback feature. See all talkbacks "Kinneret colony celebrates 100th anniversary – part 2"